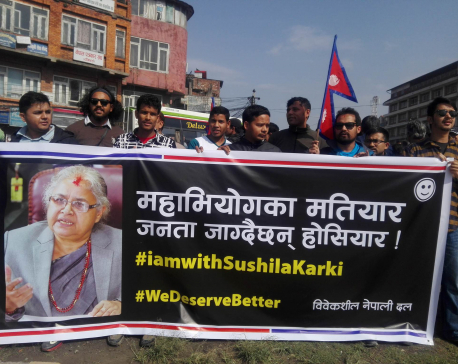 KATHMANDU, May 2: Various groups and political parties on Monday organized demonstrations in the capital protesting against the impeachment motion registered against Chief Justice Sushila Karki. The demonstrations started from Maitighar Mandala and turned into a corner assembly at New Baneshwar. Representatives from Rabindra Mishra-led Sajha Party, Bibeksheel Nepali Party and other civil society groups were present in the peaceful protest on Monday afternoon. The ruling coalition partners -- Nepali Congress and CPN (Maoist-Center) - had filed an impeachment motion against the CJ at the Parliament Secretariat on Sunday. Meanwhile, several political parties expressed serious objection against the move on Monday. 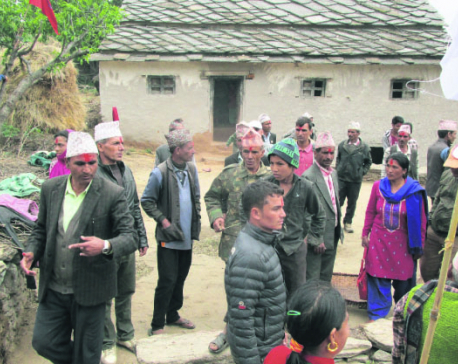 Sajha Party said that the move was a mockery of democracy. 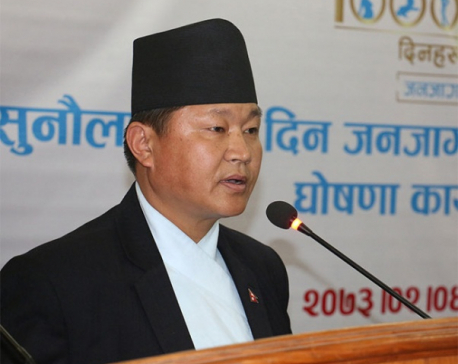 Likewise, Nepal Family Party has also expressed serious concerns regarding the impeachment motion. “The move taken by two major political parties who are in the government indicates a serious attack on the independence of judiciary,” reads a statement released by the party on Monday.